Varun Dhawan fans! We have some bad news for you. 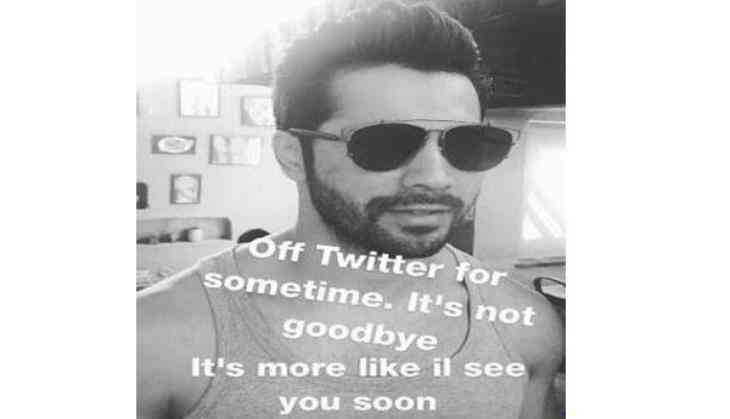 The 29-year-old-actor, who is quite active on the social media, has decided to say a temporary 'goodbye' to Twitter. The 'Badrinath Ki Dulhania' star took to Instagram and shared a story which has a picture of the actor and the caption reads, "Off Twitter for some time. It's not goodbye. It's more like I'll see you soon." Dhawan will next be seen in ' Judwaa 2' which is a sequel to 1997 Salman Khan-starrer ' Judwaa,' alongside Taapsee Pannu and Jacqueline Fernandez. The film is slated for a September 29 release.